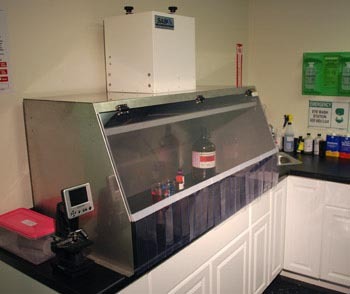 ESD-Safe Ductless Fume Hoods & Exhaust Hoods - Sentry Air Systems, Inc.
Electrostatic discharge, which can be caused by static electricity and electrostatic induction, can result in serious damage to sensitive electronic equipment, such as circuit boards. In the electronics manufacturing process, a variety of engineering controls are put in place to avoid electrostatic discharge, such as placing conducting wrist and ankle straps on operators, utilizing anti-static mats and floor materials, humidity manipulation, and a variety of additional control measures. In many cases, respiratory engineering controls also need to be taken into account when planning for an ESD-Safe work environment. There are several processes in this industry that can emit harmful fumes and particulate that operator’s should avoid inhaling. Examples include soldering, conformal coating, and spray flux fumes. Sentry Air Systems offers ESD-Safe Ductless Fume Hoods & Exhaust Hoods as a respiratory engineering control for use during applications that are sensitive to electrostatic discharge. Sentry Air’s Ductless Fume Hoods are recirculating through the use of high-quality filtration media, so do not require exterior ducting or make-up air. Sentry Air’s Exhaust Hood line is made up of free-standing fume hoods that are a simple addition to an existing exhaust system or ducting. Standard sizes range from 12″ Wide to 70″ Wide. 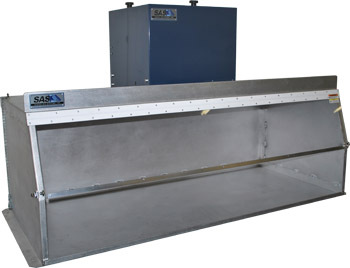 Sentry Air’s Custom Hood Division can also design and manufacture ESD-Safe fume hoods according to customer specifications. ESD-Safe fume hoods are also available in a positive-pressure configuration (also known as Portable Clean Room Hoods), which is suitable for data recovery applications that require a dust-free working environment. 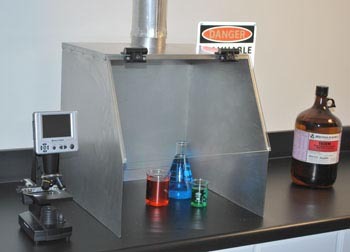 For more information on ESD-Safe Fume Hoods & Exhaust Hood options, please contact us at 1.800.799.4609, email us at sales@sentryair.com, or fill out this form to receive more information from an Applications Specialist.